Happy Halloween everyone! 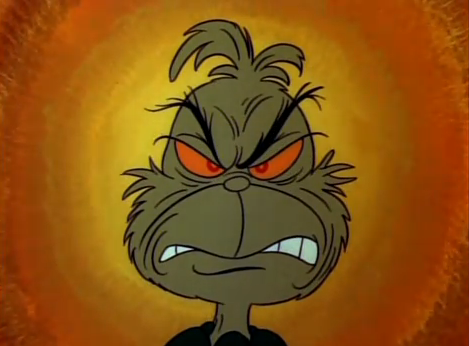 Don't eat too much candy corn :) Please indulge me while I remind you of the posts this past month in which I wrote about spooky and creepy entertainments with a Christmas cross-over. Click the link to return to those posts if you missed any of them. What a fun month of October and Halloween it has been! My two favorite posts were 1) "Scrooge in Hell" about the 1970 musical Scrooge with Albert Finney and 2) the appearances of the Boogeyman in Christmas entertainments. This weekend begins the Christmas programming on television. What are you looking forward to watching in November? This past weekend was a flurry of Halloween parties--what was your costume this year? 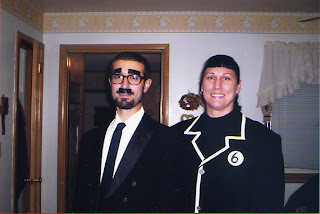 I was Loretta Castorini (Cher) from the 1988 movie Moonstruck and my boyfriend was Ronnie Cammereri (Nic Cage). I was shocked to discover just how many people haven't seen that movie! Cultural illiteracy runs amok in America. Oh well. We had fun and it gave me an excuse to drink champagne with sugar cubes all night long. Happy Halloween! 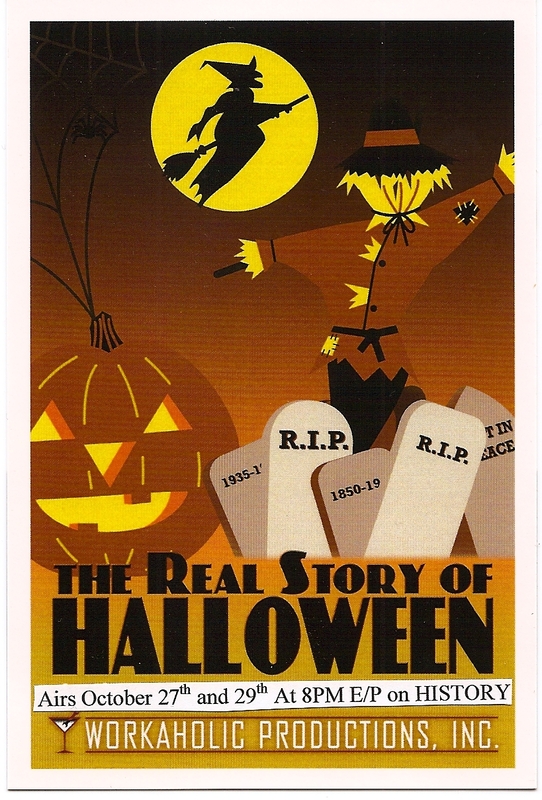 The holiday special The Real Story of Halloween is airing Thursday, Oct. 27 at 8pm (EST) on the History Channel. It will repeat on Friday, Oct. 28th at midnight (EST), Sat. Oct. 29 at 8pm (EST), Sun. Oct. 30 at midnight (EST), Monday, Oct. 31st at 11pm (EST) and Tuesday Nov. 1st at 3am (EST). 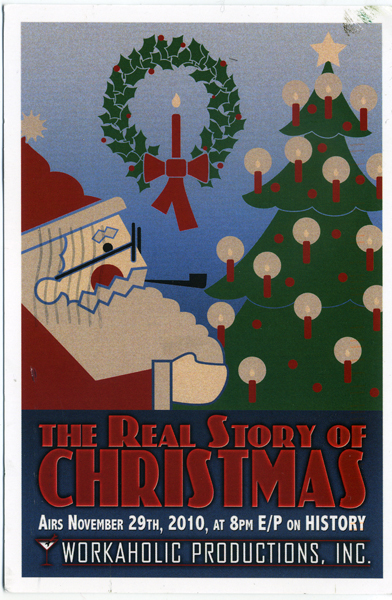 This documentary program covering the history and traditions of the holiday is made by the same good people, Workaholic Productions, that I worked with last year for the TV special The Real Story of Christmas. Click here to read what I said about that exciting experience. 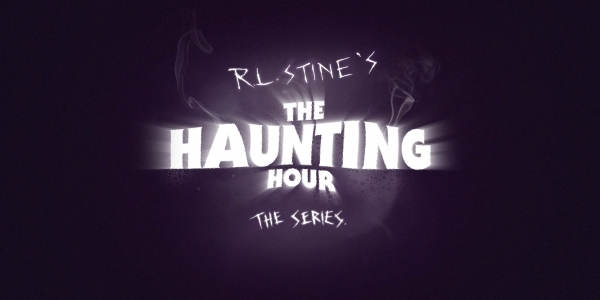 But this airing of the Halloween special also means that the Christmas special will be re-airing in about a month! I'm looking forward to that--and I hope you are too. For those of you that missed it last year, this December will be another opportunity to catch it. Of course, I'll let you know when it will be airing. And, if you didn't already know: I post daily Christmas TV listings on Twitter (@TistheSeasonTV) and on Facebook, on the page 'Tis the Season TV.' So if you haven't already done it, you can follow those sites and receive updates on Christmas TV broadcasts. If you're eager to watch those favorite Christmas specials and TV movies, you may already know that on-line schedules are beginning to go up. The Hallmark Channel is beginning to broadcast their TV movies the first weekend after Halloween (starting Nov. 4th) in what they call the Countdown to Christmas. 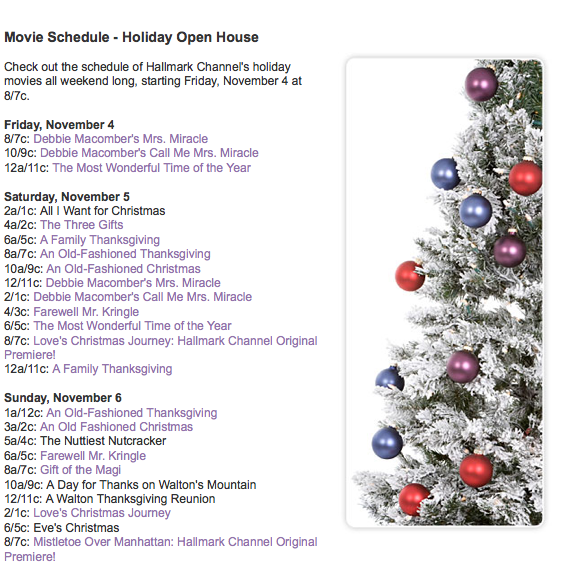 And ABC Family is beginning to release details about the eventual line up for the 25 days of Christmas marathon. (Click here for ABC Family's posting). It's that exciting time of year when the holiday TV programming is beginning to look alot like Christmas! Whoever Slew Auntie Roo? (also known as Who Slew Auntie Roo?) is a 1971 American International B-movie with an impressive cast. 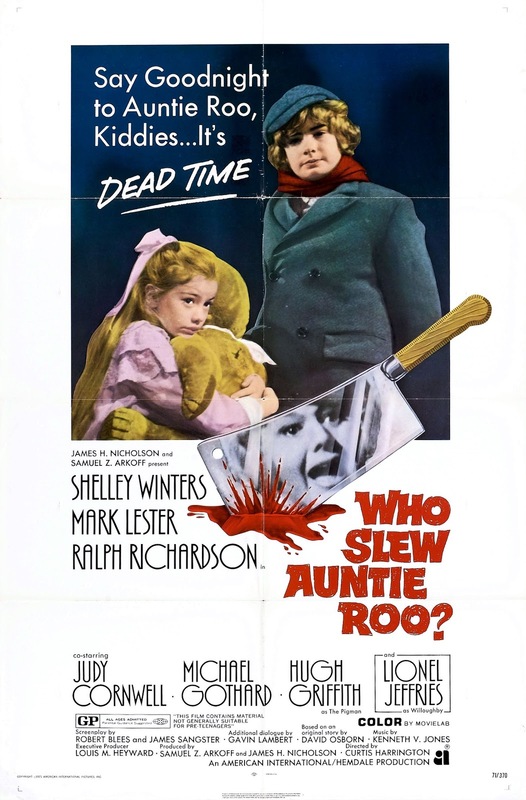 Shelley Winters plays Auntie Roo, a lonely but wealthy widow living in England. Roo throws lavish Christmas parties for local orphans and decides she wants to kidnap Katy because of the girl’s resemblance to Roo’s long deceased daughter. 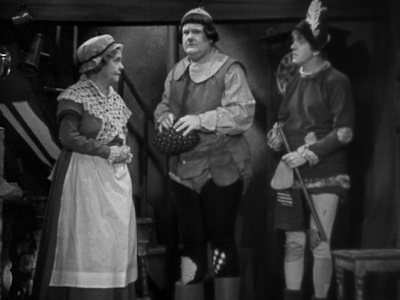 However, when Katy’s older brother Christopher discovers his sister is being held against her will in the house, he is certain that Auntie Roo is living the part of a hungry witch in a fairy tale. Unfortunately, he discovers Auntie Roo has even darker secrets hiding in the attic. 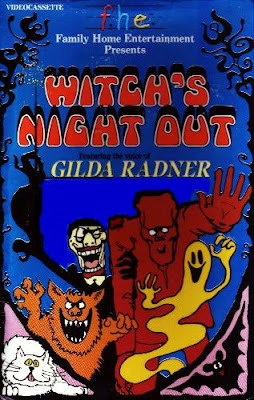 Part suspense/thriller and part horror film, this midnight movie contains significant Christmas scenes and takes place over the extended holiday week including New Year’s Eve. 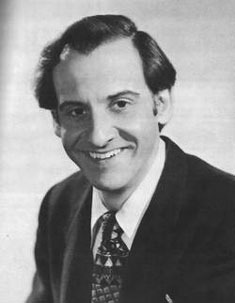 The incredible cast includes: Shelley Winters as Mrs. Forrest; Ralph Richardson as Mr. Benton; Mark Lester as Christopher; Chloe Franks as Katy; and, Judy Cornwell as Clarine. Of course, Shelley Winters is the Academy Award-winning actress and Hollywood legend. Christmas entertainment fans know her from 1972's The Poseidon Adventure and as the voice of Crystal in the 1976 animated TV special Frosty's Winter Wonderland and the 1979 movie Rudolph and Frosty's Christmas in July (click here for that link). Later in life, Winters also played the much-beloved sassy Nana Mary, Roseanne's grandmother, on the TV sitcom Roseanne. In Whoever Slew Auntie Roo, you don’t want to miss young Mark Lester as Christopher. 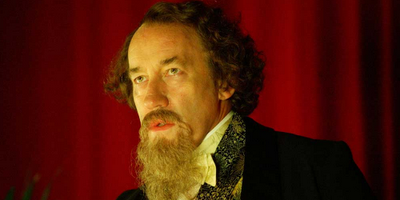 Lester is better remembered for his role playing Charles Dickens' title character Oliver Twist in the movie musical Oliver! The young Katy is played by Chloe Franks, the same actress who plays young Carol in the Christmas segment of 1972’s Tales From the Crypt. (click here for the link--I just wrote about that movie two weeks ago). Actor Ralph Richardson who plays Mr. Benton also appears in 1972's Tales from the Crypt--he plays the Cryptkeeper in that movie. The role of the house servant, Clarine, is played by Judy Cornwell who plays Mrs. Claus in 1985's Santa Claus: The Movie. 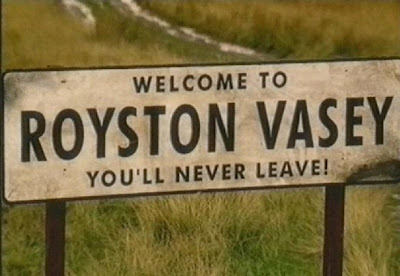 Cornwell is also known for her role as the sister Daisy on the British TV series Keeping Up Appearances, a staple of PBS Britcoms. 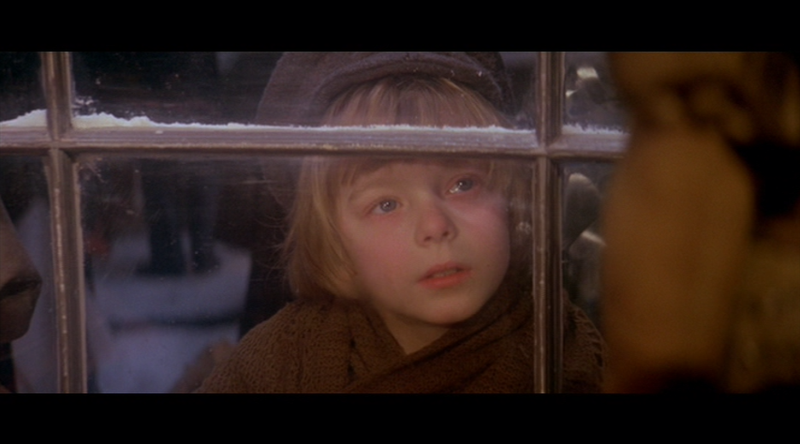 And if you play close attention, you may even see the young actor Richard Beaumont playing Peter, a boy at the orphanage. Beaumont is better remembered for his role as Tiny Tim in 1970's movie musical Scrooge with Albert Finney and Alec Guinness--yes, that Alec Guinness! (click here for a recent post about Scrooge). 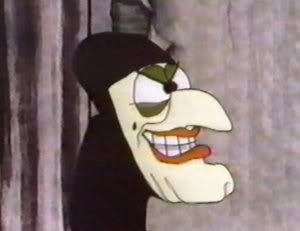 Have you seen Whoever Slew Auntie Roo? before? Do you like Midnight Movies? I have a factory-sealed new copy of this movie on DVD that I'd like to giveaway to one of my readers. 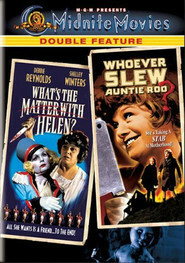 This DVD is a double feature and also includes the 1971 B-movie What's the Matter with Helen? starring Shelley Winters with Debbie Reynolds. So that's two movies in this prize pack. But I'm feeling generous so I'll include a plastic Jacob Marley doorknocker halloween/Christmas decoration. It's 12 inches long from the top to bottom of the knocker! You are eligible for this giveaway if you live in North America. To Enter: comment below and tell me which of the Merry Halloween blog posts I've written about in October is your favorite. Make sure you follow the blog through Google Friend Connect (along the right hand side of the blog ----> ) I'll pick a winner on Monday night (Oct. 24th) at 8pm (EST) using Random.org from the total number of eligible entries. Good luck! Merry Halloween! ***Feel free to tell your friends about this giveaway--share the giveaway announcement on Facebook (either the group page 'Christmas TV History Blog' or on the Facebook pages 'Christmas TV Companion' and 'Tis the Season TV.' You can also retweet the announcement @TistheSeasonTV). Labels: Whoever Slew Auntie Roo? 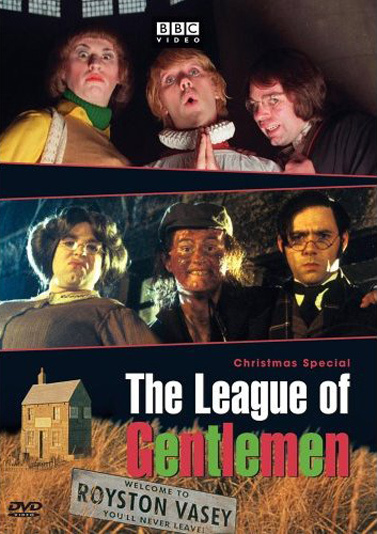 I'm continuing my countdown to Halloween covering scary, creepy and Halloween-appropriate Christmas entertainments. 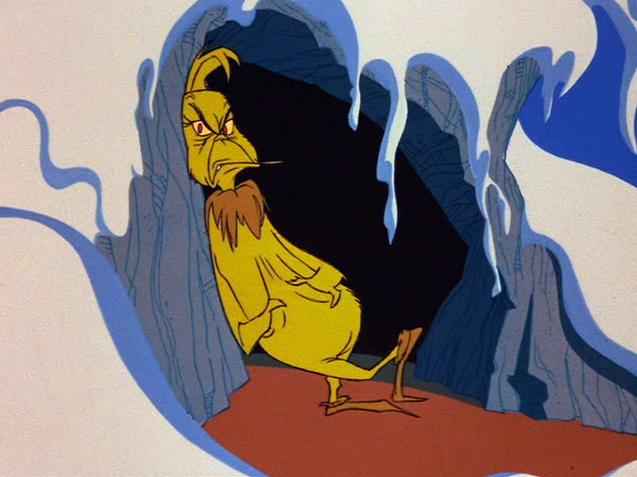 Today I want to acknowledge the role of the Boogeyman in several Christmas stories. Perhaps the most recognizable boogeyman character in a holiday movie is Oogie Boogie from 1993's The Nightmare Before Christmas. 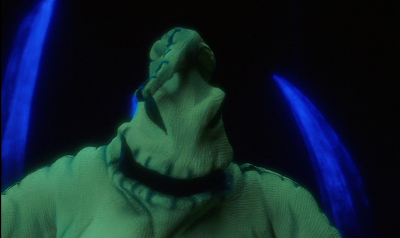 Oogie Boogie is the risk-taking villain who dwells underground, below Halloween Town. Not only is he mean and a crooked gambler, he's composed of a burlap sack filled with bugs! 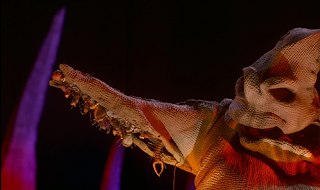 Besides his hatred for Santa Claus, Oogie Boogie is not the scariest of foes. Eeewww....hand me a can of Raid! 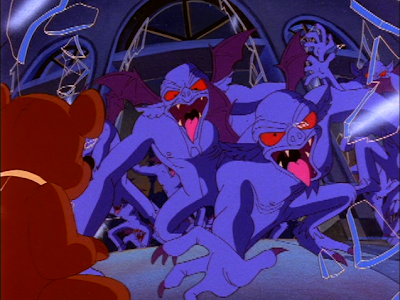 The Boogeyman is also a monstrous attacker in three versions of the Christmas story, Babes in Toyland. Babes in Toyland was originally written as an operetta by Victor Herbert and Glen MacDonough at the turn of the twentieth century. It is a musical fantasy story filled with Mother Goose fairy tale characters. There is a great deal of adventure and even a little romance. 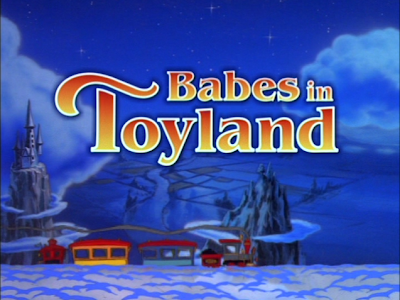 Babes in Toyland has been adapted numerous times for film and television, each time undergoing drastic changes in storyline, character and musical composition. 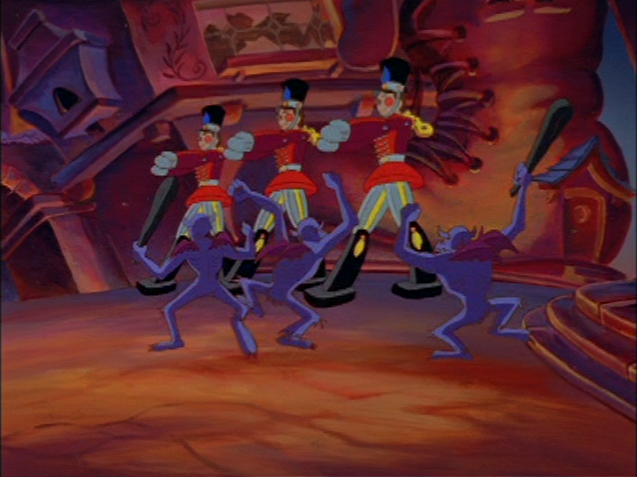 One such drastic character change is the addition of the Boogeyman (or a group of boogeymen) in three filmed productions: 1934's March of the Wooden Soldiers, 1986's Babes in Toyland and 1997's animated version. 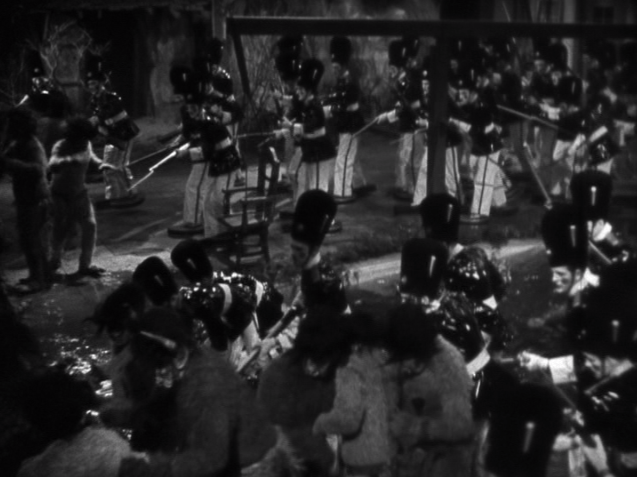 The 1934 adaptation, originally released as Babes in Toyland, has since been retitled March of the Wooden Soldiers. It is a black-and-white feature length vehicle for comedians Laurel & Hardy playing Stannie Dum and Ollie Dee, toymakers and residents of the fairy tale village, Toyland. The true adversary in this story (and the original operetta) is Barnaby, the meanest man in town who is blackmailing the beautiful, young Bo Peep into marriage. 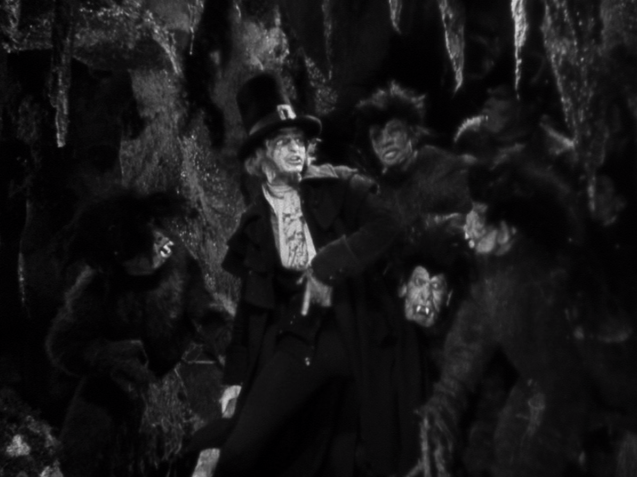 In this adaptation, when Barnaby's schemes fail, he recruits the Boogeyman--more accurately, many boogeymen, to help him force her into marriage! 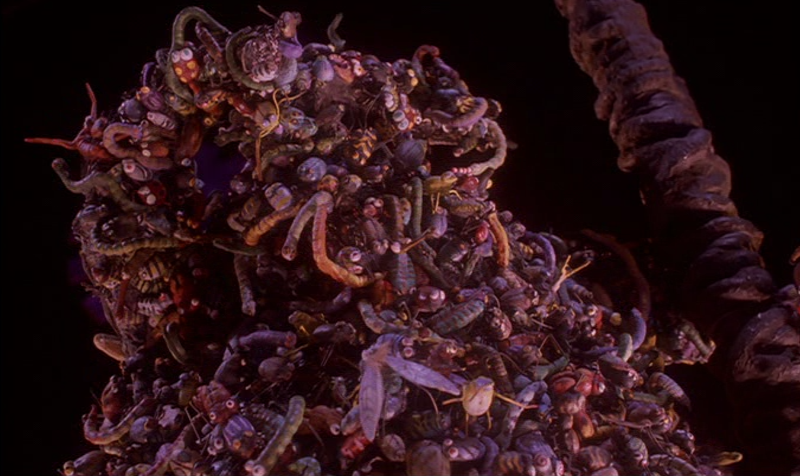 These boogeymen, much like Oogie Boogie, are underground dwellers of monstrous appearance. Here, they have long fangs, claws and their bodies are covered in fur, similar to wild animals. On the humorous side, they wear dried grass skirts--for modesty(?) Even more humiliating, the savages are repeatedly referred to as Bogeymen--from Bogeyland (pronounce this like it is spelled for the same word that means one over par, as in golfing!) It's hard to be intimidating when you can easily be mistaken for a fan club member for actor Humphrey Bogart! But these bogeymen are scary! After Barnaby leads the bogeymen back to Toyland to raid the village, the fairy tale characters enlist the aid of wooden toy soldiers to help defend the city. It is a childen's story after all! It can be quite frightening to see the bogeymen carrying lit torches and setting fire to Mother Goose land as Barnaby tries to carry off his bride. 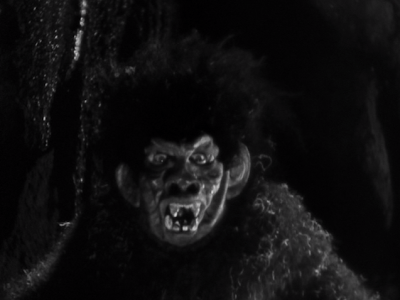 By shear number of their kind, these grass-skirt wearing over-grown monkeys come off as creepy, threatening and dangerous. 1986's Babes in Toyland starring a young Drew Barrymore, Keanu Reeves and Richard Mulligan also includes a hord of underground creatures. 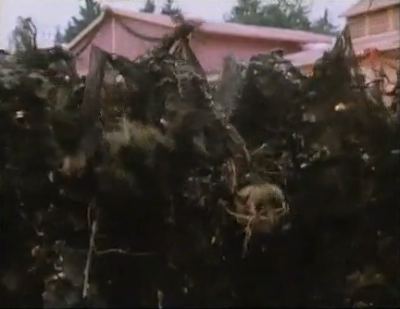 However, these mud and stick monsters are not the formidable foes as in the two other Babes adaptations. These underground creatures look like they are still under the ground! For scary creatures, I prefer Barnaby, here played by Richard Mulligan, and his two hunchbacked henchmen. They resemble the early vampire Nosferatu and Riff Raff from the movie Rocky Horror Picture Show. 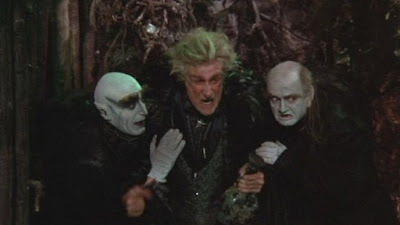 I wish the two henchmen had been given a greater role in frightening Lisa, played by Barrymore. 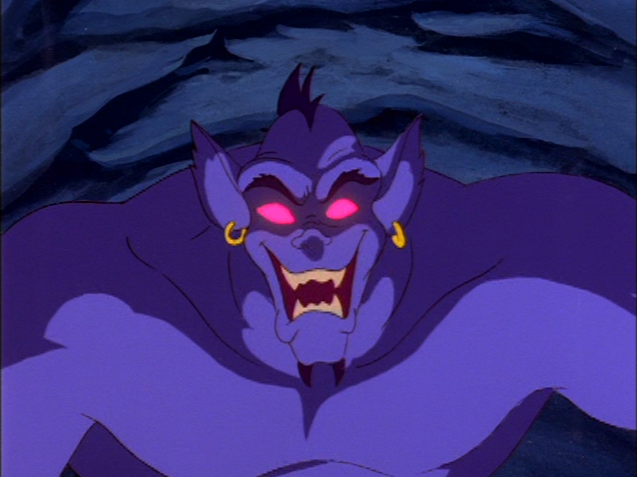 1997's animated Babes in Toyland incorporates the Boogeyman character as well. However, this time his appearance is adjusted more to resemble a purple winged demon and his boogeymen minions are smaller versions of himself. 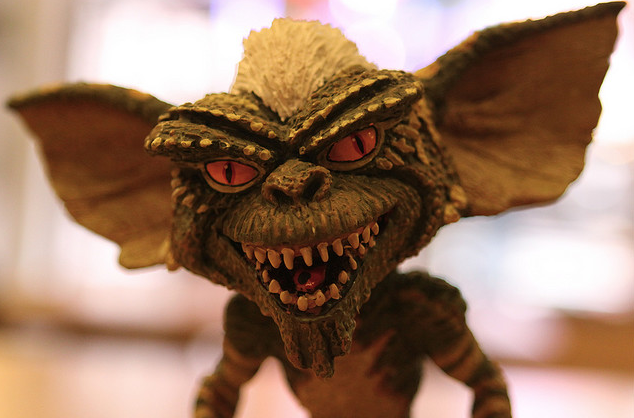 Here, he is referred to as a goblin from Goblin Forest. 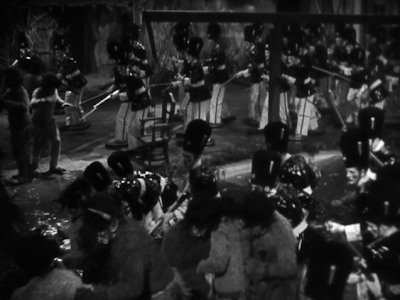 The goblin minions breaking into the toy factory to destroy it! Once again, Barnaby leads the goblins back to Toyland where the toy soldiers are enlisted to defend the village and its residents. 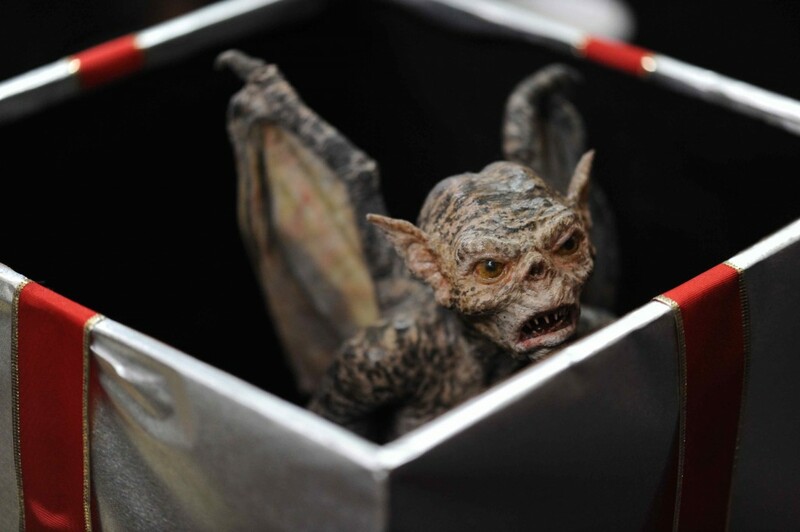 A demon goblin is a scary antagonist. 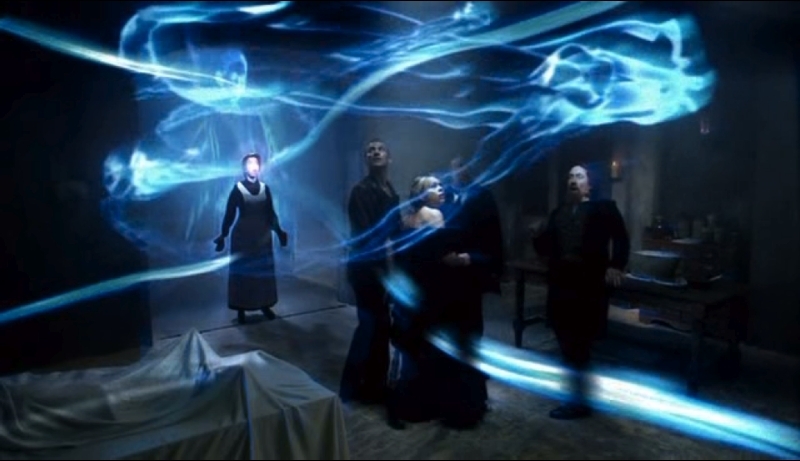 The demon aspect evokes images of the Devil, other worldly evil and cruelty. That scares me for sure! See for yourself how scary these boogeymen--or bogeymen--can be. All four of these movies are easily available to watch on DVD. Check your local library or on-line viewing sources. I'm continuing my countdown to Halloween covering scary, creepy and Halloween-appropriate Christmas entertainments. 1974's Black Christmas stands out as a classic horror movie. For one thing, it is an early film in the Christmas horror genre. It is also noteworthy in that it is directed by Bob Clark, who directed the 1983 holiday classic A Christmas Story. 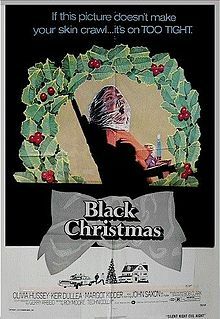 How come Black Christmas never airs in a 24-hour marathon each Christmas Eve? I'm looking at you, Chiller Network! Jess, the phone's for you! Anyway, this film is a legend unto itself. Though Black Christmas doesn’t feature a killer Santa Claus, this cult slasher flick takes place at Christmas in a college sorority house where most of the girls have already departed for the break. Creepy obscene phone calls are received by the sorority girls, and one by one the girls begin disappearing. The suspense builds as the remaining house mates and the police are slow to catch on that the danger is lurking inside the house while women’s bodies pile up in the attic. The film ends before the killer is caught, leaving the story’s conclusion open-ended. 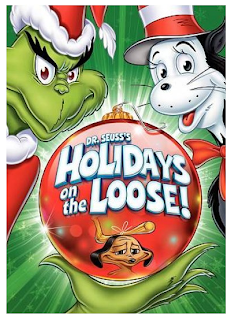 A disturbingly un-happy ending to this holiday movie! The stellar cast includes: Margot Kidder as Barb; Olivia Hussey as Jess; Andrea Martin as Phyl; Keir Dullea as the boyfriend Peter; and, John Saxon as Lieutenant Fuller. Cinephiles may recognize Kidder who went on to play Lois Lane in the 1978 movie Superman, opposite actor Christopher Reeve. Hussey starred in Franco Zeffirelli's Romeo and Juliet in 1968 and later, she played Mary in another Zeffirelli movie, the 1977 TV miniseries Jesus of Nazareth. Actor Keir Dullea who plays the boyfriend Peter, also appeared in the lead role in Stanley Kubrick's sci-fi masterpiece, 2001: A Space Odyssey. But the thrill in watching Black Christmas today is in the rarely imitated, open ended conclusion of the story. The film ends before the killer is caught! This terrifying lack of completion also means viewers are left to speculate just who is this serial killer and why is he doing what he does--making the imagined far more scary than the usual tying up of loose story ends with a complete explanation provided in most other horror films. There is speculation amongst this film’s fans concerning its legacy and the extent of influence this film has had on the slasher genre. Many claim it as the inspiration for 1978’s better remembered Halloween and its tremendous success. The influence of Black Christmas was strong enough to inspire a 2006 remake though drastic changes were made to the original story. This updated and bloodier version of the story removes the mystery behind the supposed killer, the no longer unseen Billy. Here the character of the criminally insane Billy is expanded and explained, and he’s not working alone! There’s also an update on the storyline with the obscene phone calls. Cell phones now reveal the origin of the calls and ring tones sound off the location of the caller within the house! Whimsically, actor/comedian Andrea Martin appears in this version as well. No longer playing a sorority sister, Martin is recast as the more age appropriate house mother, Ms. MacHenry. Of course, Martin went on after 1974's Black Christmas to distinguish herself in the cult Canadian comedy series, SCTV. Other cast members include: Michelle Trachtenberg as Melissa; Lacey Chabert as Dana; Katie Cassidy as Kelli; and, Oliver Hudson as Kyle. Trachtenberg started her career as a young actress appearing on the TV series The Adventures of Pete & Pete and Buffy the Vampire Slayer. Chabert too was a child actress appearing on Party of Five and providing her voice on the Nickelodeon animated series The Wild Thornberrys. Actress Katie Cassidy has more recently been seen on Gossip Girl among other projects. She's also the real-life daughter of actor/singer David Cassidy. And, actor Oliver Hudson can currently be seen on the TV sitcom The Rules of Engagement airing on CBS. Hudson is the real-life son of comedic actress Goldie Hawn. Which version of Black Christmas do you prefer? And, would your family watch a 24-hour holiday marathon of Black Christmas airing on television? I'm continuing my countdown to Halloween by creating a photo essay of past costumes I've worn. Is your costume ready for this year? What are you dressing as? That's me on the right. 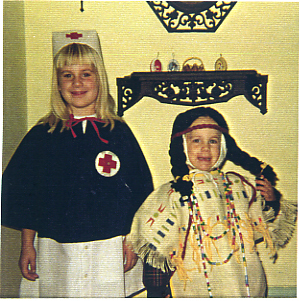 I think this is Halloween 1971. I'm a Native American and my mom has clearly made me wear my blue plaid winter coat under my costume. I'm surprised I'm not crying. This is me dressed at Laura Ingalls for Halloween in 1976 or '77. Someone asked me if I was Holly Hobbie and I got mad. Duh--I'm Half-Pint! 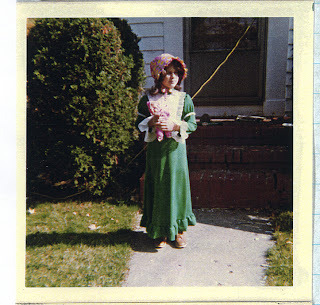 And, yes, I watched Little House on the Prairie every week. 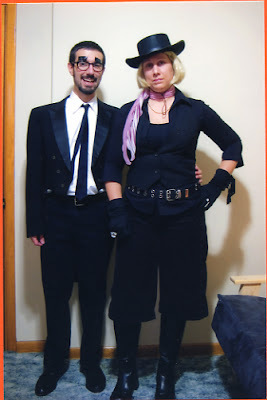 This photo recently appeared on the Trick-or-Treat Giveaway announcement on the Authors By Authors blog. I think this was Halloween 1982. I'll tumble for ya. On my way to a Halloween party, 2005-ish. I'm Number 6 from the British TV drama The Prisoner. 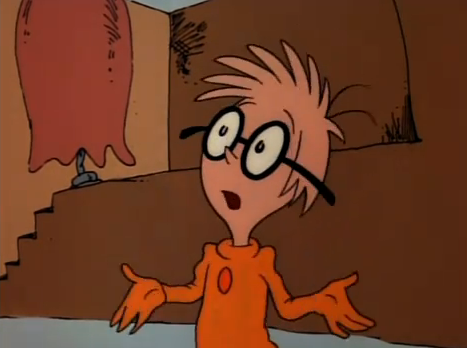 This is my standard costume--I've worn it many, many times for Halloween. I love Patrick McGoohan. Here I'm with Groucho Marx. In 2009, I was dressed as Little Edie from the 1975 documentary movie Grey Gardens but I can't find a photo of it. Mind you, I wore a scarf over my head and a tablecloth around my waist. If you've seen this classic movie, you know that Little Edie is very stylish and a staunch character. I also carried around a loaf of bread to feed raccoons. I love that movie. But last year, in 2010, I was the Miss Yvonne from Pee-Wee's Playhouse. Check out another photo of me as Miss Yvonne on Wonderful Wonderblog. Fellow blogger Erick at Wonderful Wonderblog is also counting down to Halloween. Check out all his Halloween posts and then look him up again in December. He also likes to write about fun Christmas stuff. My costume for this year is already underway. I don't want to spoil the surprise but I'm dressing up as a character from one of my favorite '80s movies. Who are you dressing up as this year? Are you a fan of R.L. Stine--the children's lit/horror writer? Did you watch the 1990s Nickelodeon TV series Goosebumps that was based on his books? There's also a new TV series from R.L. Stine entitled The Haunting Hour: The Series airing on the Hub. The family-friendly anthology series created a scary Christmas episode in its first season, December 2010. In the episode "A Creature Was Stirring," the Morgan family discovers a monster under their tree on Christmas morning! The bickering parents have to come together with their two selfish teens and their young son Timmy in order to avoid the destruction of the mischievous demon. Will they be able to safely escape before the Creature burns down their house? uh-oh. "Dear Santa, next year I'd prefer a beach vacation..."
For the first time in a long time, the Morgans have come together, confessing they feel like a family once again. 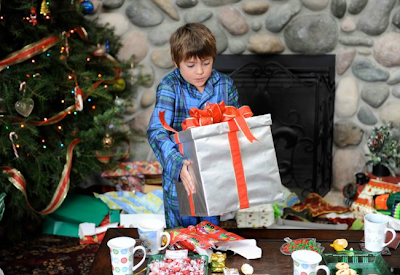 Was this Timmy's Christmas wish after all? The demon creature kind of reminds me of a winged gremlin--as in the 1984 movie Gremlins. 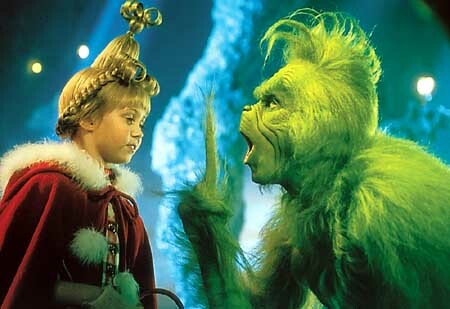 Have you seen this family-friendly Christmas classic too?